The importance of English as an international language has never been greater in the modern world, but it is not the only language which connects people and business globally. The four other most commonly spoken languages in the world are Mandarin, Spanish, Hindi and Arabic (all varieties) and, as demand continues to grow in the export, international relation and international business sectors, the need for talented workers fluent across a range of international languages – not just English – is also on the rise. A recent survey showed that almost two-third of businesses in the UK require skilled linguists, with many companies currently relying on translators from elsewhere. 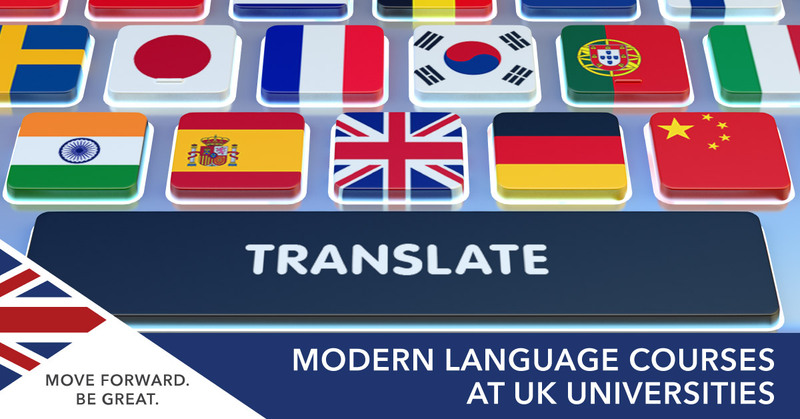 Studying modern languages at a UK university will help you better understand the culture, politics and business of a country through the fluency of verbal and written speech, equipping you with the skills to work across a wide variety of sectors. An undergraduate modern languages degree will generally last four years, consisting of two years study, one year abroad and one year working on a final dissertation. Students can master two or more languages, choosing to combine them with a subject such as business, politics or film, and the study year abroad provides a unique experience to live in the native country of the language they are learning. A typical Masters in modern languages lasts for just one-year and is for students who wish to deepen their critical engagement with language culture and their chosen specialism. Source: Guardian University Guide 2019. If you are interested in learning more about language, linguistic and translation courses in the UK, get in touch with SI-UK today for a free consultation! Our friendly academic experts can help answer all your questions about studying in the UK.